The entire fourth series of the award-winning ITV costume drama following the lives and loves of those above and below stairs in an English stately home. It's 1922, and six months after a tragic car accident, Lady Mary (Michelle Dockery) is still trying to come to terms with her loss. 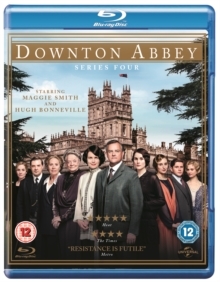 Meanwhile, as mass unemployment, political upheaval and economic crisis threaten the social order of the day, the family and staff of Downton Abbey try to adjust to life in a changing world.